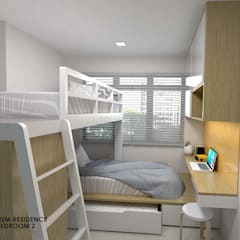 Which bedroom design is right for me? 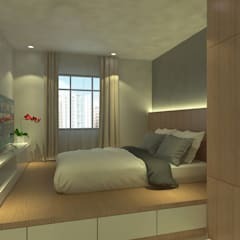 To find your perfect bedroom design, first consider the mood and ambience you want to create in this special room. If sleeping is all you’ll be doing, then focus on the right bed, choosing the biggest size that comfortably fits. 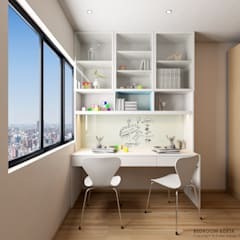 If you also want to use the space for reading and writing, then add an armchair or work area that complements your bedroom décor. 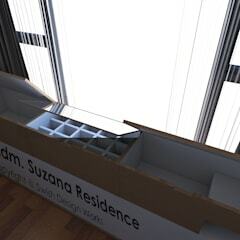 Other factors to consider are the shape and size of your room, the position of windows and when the bedroom gets sun. Do you want the sleek lines of modern fitted bedroom furniture or do you prefer to mix and match the old and new, collecting quirky items that express your personality? 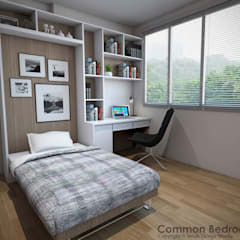 Think about your bedroom design investment in the long-term. If you go bold and bright now, will your bedroom design ideas still appeal in four to five years time? What are some bedroom decorating tips? When thinking of bedroom ideas, decide whether you want one colour scheme throughout, or to mix it up a bit. Stunning bed linen in bright colours and designs stands out against more muted wall and floor shades, while a bold statement wall is set off perfectly with white linen. Pick out some colours with curtains, cushions and smaller accessories that can be replaced more often to give your bedroom an easy makeover. Think about the statement you want to make with your furniture. Will it have simple, clean lines or more dramatic and sweeping curves? 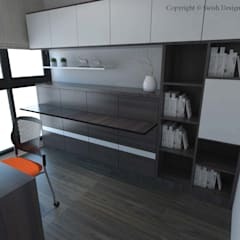 Be creative with your furniture layout. Try standing the bed in the centre of a large room to create a work area behind it, or angle it across a corner for an off-key look. Which bedroom colours are right for me? Decorating provides the perfect opportunity to pick your favourite colours and bedroom wallpapers. To ensure a soothing night's sleep, pick soft and relaxing colours, such as dove grey, pastel pink, spa blue or pale greens. Use bed linen, window covers, lighting and ornaments to introduce splashes of bright colour. If one colour really appeals to you then use it in a variety of tones, textures and prints across your bedroom. Pillows piled on the bed are great for showing off your favourite colours. Try combining large and small prints in floral and geometric designs for a stunning display. What type of flooring is best for my bedroom? 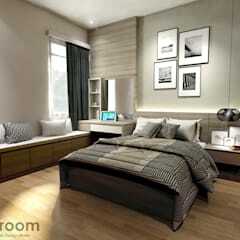 Bedroom flooring is the first and last thing your feet touch each day, so you must feel comfortable with it. Carpet is always soft and warm and a good way of bringing colour into a room. It also provides good insulation against noise and drafts. The natural beauty of wood flooring topped with colourful rugs is another way of giving your bedroom an individual look. Hardwood flooring is also an effective insulator for noise and heat and, with proper care, will last for many years. If you’re not sure which direction to take, it’s always advisable to ask an interior designer or decorator for guidance. A good place to start is with a free consultation from a qualified professional. How do I pick the right bedroom accessories? Accessories are the perfect way of expressing your own personality in a room. Decorative accessories, such as lamps, cushions, ornaments and throws are cheaper to replace than furniture, so when fashions or your mood change they can easily be replaced. Choose a few pieces that complement your bedroom furniture and express who you are, to create an individual effect without over-cluttering your room. 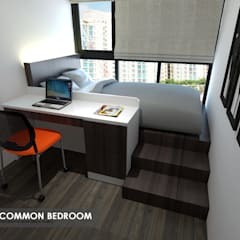 How do I furnish a small bedroom? 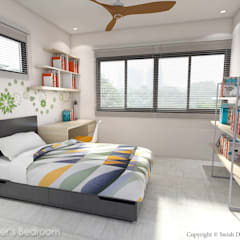 Coming up with inspiring furnishing ideas for a small bedroom can be a challenge. One trick is to use a palette of soft colours to create an illusion of space, along with subtle lighting and smaller prints in your bed linens. Or, for more dramatic looks, be bold and paint the whole room in one bright colour, or make a feature of one wall with stand-out wallpaper. Using stripes creates an illusion of width and height in small rooms. 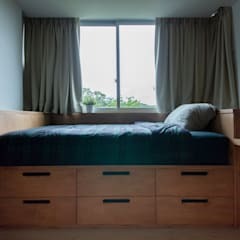 It's important to keep small bedrooms clutter-free so be creative with your storage solutions, maybe building a shelving system on the wall around your headboard to leave other spaces uncluttered. 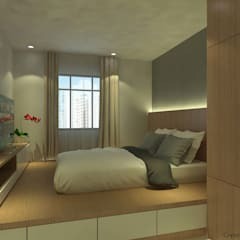 Another option is to use simple shelves as night-stands and fix lamps to the wall. 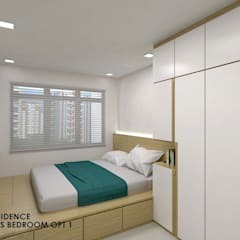 How do I create the perfect white bedroom? 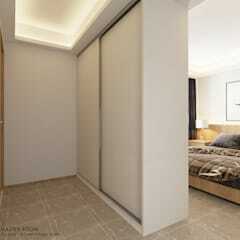 White bedrooms offer a simple background that is easy to personalise. White really opens up a room, creating a sense of space and bringing light into darker areas. White décor is perfectly suited for rooms that receive less use, such as guest rooms. If you want to go totally white, stain wooden floorboards to match and then add texture with lace and embroidery on bed linen or choose chunky cable-knit throws. To prevent it looking too clinical, inject a splash of colour with a feature chair, a dramatic cushion, a bed runner and an eye-popping light fitting or artwork. Dark wood or pine furniture sits perfectly in white décor, adding both colour and warmth. White is a great theme for seaside homes as it teams brilliantly with nautical stripes and accessories. 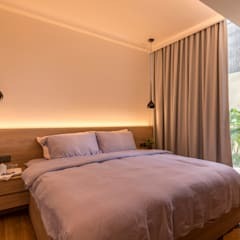 Which wallpapers & wall colours should I use in my bedroom? Dark colours shrink a room, while paler palettes open them up. Blue is a calm, soothing colour which is even thought to slow the heart rate and reduce blood pressure. Big prints, flocks and colourful stripes create striking feature walls, either behind or opposite the bed. Match it to your bed linen or pick out an element of the wallpaper colour and repeat it in your accessory selection. Be creative and spruce up some junk shop furniture by covering it with wallpaper to match the wall. Other creative ideas include: lining shelves with bright patterns, using wallpaper to define different bedroom zones or, for something really dramatic, wallpaper the ceiling. 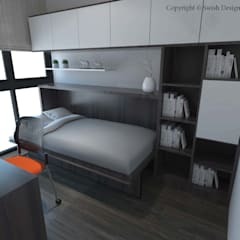 How do I create a modern bedroom? 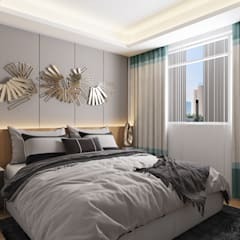 Modern bedrooms avoid clutter, with the use of clean lines and neutral backgrounds, offset with accessories and lighting in bright colours and abstract patterns. 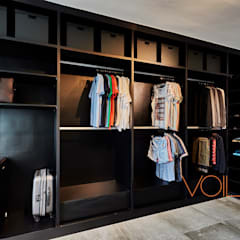 Keeping walls white allows more flexibility with furniture and accessories. 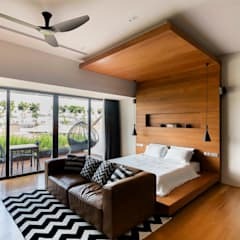 Contemporary low beds and on-trend retro chairs, with a hint of the 1950s, are perfect bedroom décor ideas for a modern look. For a touch of the unexpected, try using animal prints and textures in unusual colours. 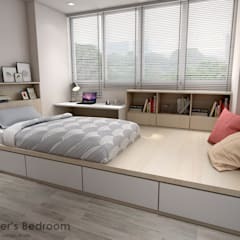 How do I create a classic bedroom? Lots of soft furnishings in classic patterns are perfect for country-style bedrooms and complement sturdy antique or reproduction furniture. Use floral patterns and chintz for splashes of colour on upholstery or, for a totally bold look, pick a country pattern and repeat it on everything. Also effective is mixing stripes at the window with flowers on bedding. If ceilings are high, then chandelier style lighting works for creating a country house effect. Make a feature of bedroom fireplaces by filling them with logs. Shabby chic décor also works well in country style bedrooms, use distressed woodwork, knitted patchwork throws and your favourite knick-knacks. 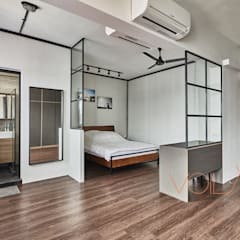 How do I create an industrial-style bedroom? Industrial-style bedrooms are found in converted lofts and are often an integral part of one bigger space. If this is the case, use furniture and screens to cleverly create privacy. 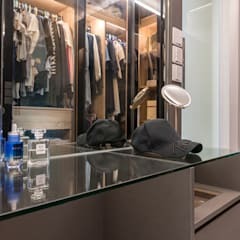 Utilitarian pieces of furniture and stainless steel fittings combine well with aged wood and brickwork and a monochrome black and white, or grey, colour scheme. Concrete floors can be polished and rugs in bold abstract designs or fake fur used to add splashes of colour. Put some large scale art on the walls and drape large windows generously with stunning white voile. If you have the space, be creative and decorate upwards. Try creating a mezzanine work area above the bed, accessed by a stark metal ladder. How do I create a rustic bedroom? Ultra-thick duvets or old-fashioned patchwork quilts are perfect for rustic style bedrooms. Vintage furniture in natural woods or the shabby chic look works perfectly, as long as it's kept cosy and warm. Use traditional and simple pine beds or stark metal beds warmed up with colourful quilts draped over their frames. Use wicker for storage, earth colours on the floors and frothy white drapes or gingham patterns at the window. 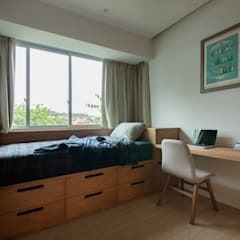 How do I create a Scandinavian-style bedroom? Scandinavian-style bedrooms are functional and understated, but very liveable. Choose muted tones and place well-chosen pieces of furniture on light wooden floors. Keep accessories simple and make a feature of the bed by piling it high with thick, inviting duvets. Accessories in white and blue continue the understated look, along with rugs in earthy shades. Add a wood-burning stove or make a feature of one wall by cladding it with wood.